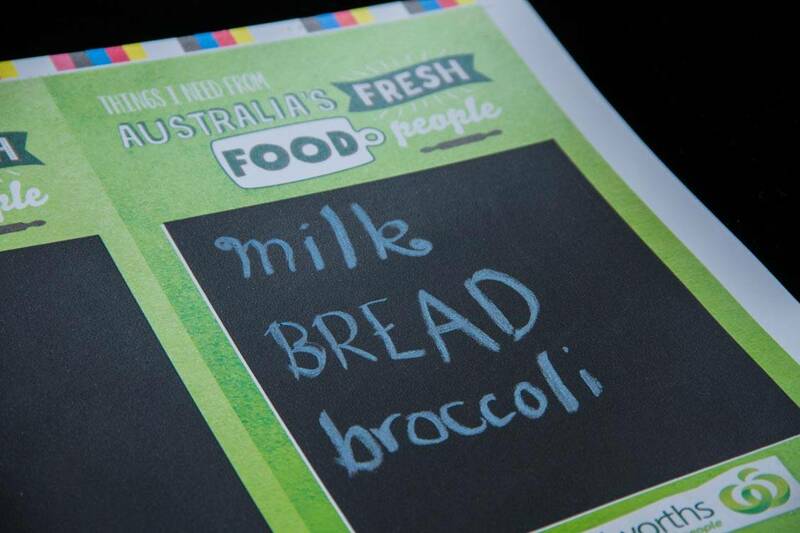 Why not try ChalkKote for your next giveaway, POS tool, promotional aid or even a children’s book cover. 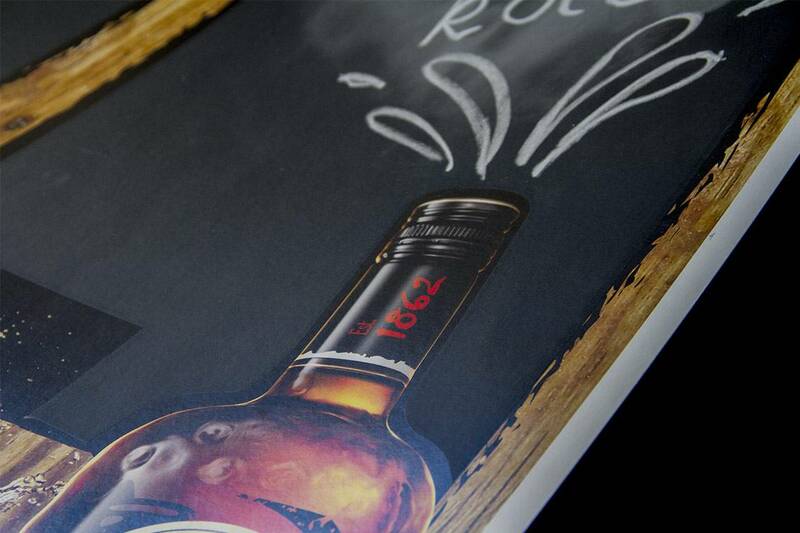 It’s that simple, let us place a chalkboard area onto your printed sheet and write away… That’s right, all you need is actual chalk to make this product come to life. Colours you ask? Yes you have a choice of colours whether its blue, red, green or traditional black the options are yours!! 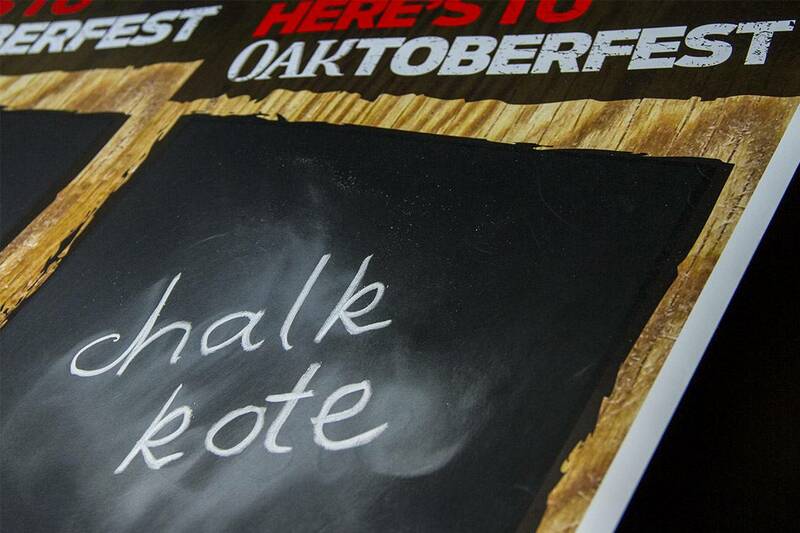 Always contact your Allkotes production team when requiring ChalkKote as we will need to order upon request. Lead times can take up to 5 working days. A 20mm grip is a strict requirement and a film positive or a PDF for the area requiring ChalkKote is needed. 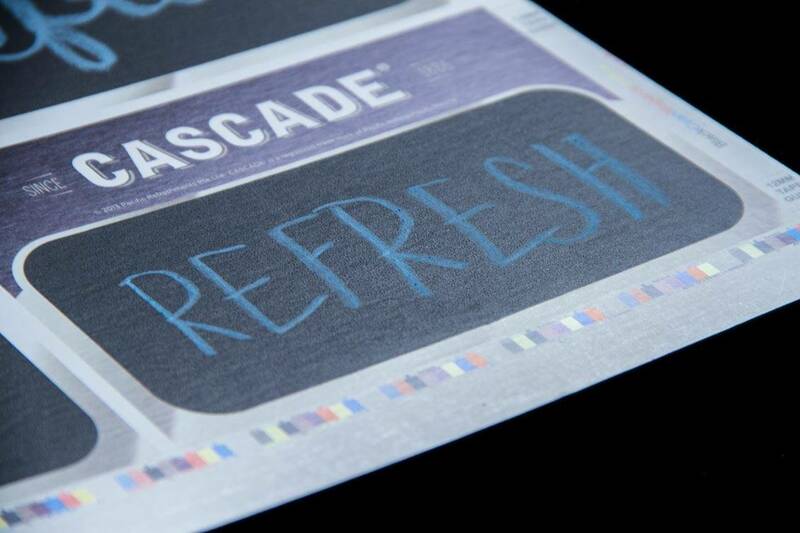 We recommend that a stock weight of 200gsm/200ums or higher is used when applying ChalkKote. Be mindful of any further processing like mounting so that it does not affect the surface of the ChalkKote. When asking for a quote please provide an idea of the image area, how many up on the sheet and the amount of the sheets. When designing your next ChalkKote project please note that the area where the ChalkKote is to be applied needs to be kept free of any varnish or ink. This area should be left unprinted. Try and avoid cutting, scoring or folding through ChalkKote as it may crack or shatter on and around these areas. Do not use uncoated stocks with this product as it can reduce the effectiveness of the ChalkKote.